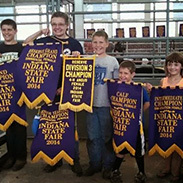 Krieger Farms is a large cow calf operation located in West Central Indiana. 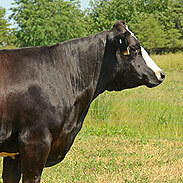 We are focused on raising top of the line Simmental, Angus, and Hereford genetics. 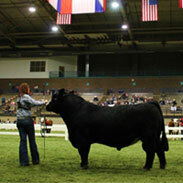 Our cattle not only have to perform on reclaimed coalmine ground, but also excel in the show ring. We pride ourselves in having sound, maternally driven females and powerful, functional made herd sires. Our high quality donors and bull batteries have proven over and over. With that being said, be sure to check back throughout the year for our genetic package offerings in our first ever spring and fall online sales. Our annual production sale “The Harvest” is held the first Sunday in October. Our roots run deep in the cattle business. We strongly believe in junior programs that we started our own incentive program for our customers. Feel free to visit our operation or call any time. We would like to show you the cattle and around the farm. Thank you for your interest in Krieger Farms. Our success throughout the year. Full sib embryos available to our many time champion and top producing females. Thank You to Everyone Who Attended or Purchased From Our Dispersal Sales! 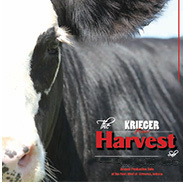 For the most current information follow us on our Facebook page "Krieger Farms."